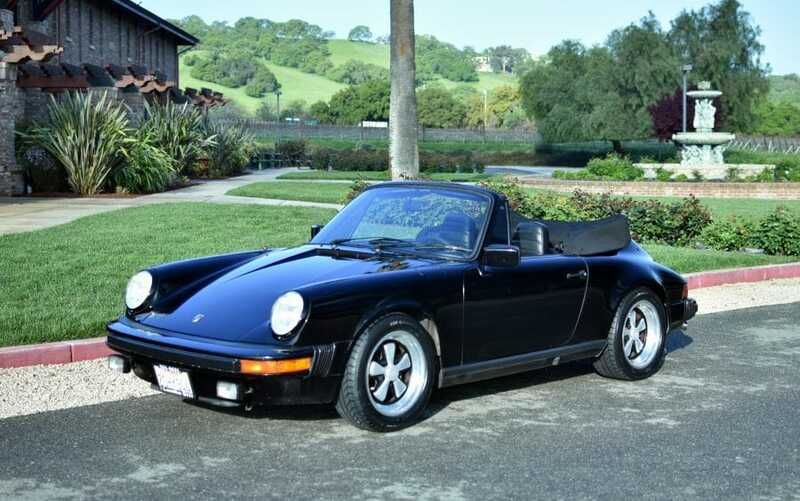 1983 Porsche 911SC Cabriolet: Beautiful black/black factory color combination; garaged California car; low miles. Stored for several years and not driven, recently tuned up and brought back to driving condition. During the period it was not driven the service history was lost or misplaced; all the documentation included is pictured. We provide extensive pictures to illustrate condition, please inspect them closely rather than requesting lengthy descriptions. Everything included is pictured.